A highly polished and professional performance from Town sees the visitors makes the near nine-hour roundtrip worthwhile. Second half strikes courtesy of James Bolton and Tyrese Campbell ease the relegation fears and provide a needed confidence boost. Gillingham suffered their 11th home defeat of the season, their worst record at Preistfield since 2004 – meaning Steve Lovell’s side are dragged right back into the relegation mix. Sam Ricketts made just one change from the side that drew 1-1 against Scunthorpe United. The aforementioned Tyrese Campbell replaced Fejiri Okenabirhie. A frenetic opening period meant chances were aplenty. The first arrived through Billy Bingham – the former Crystal Palace midfielder, who was expected to be absent with a calf injury, cracked a 20-yard strike against the post. Shrewsbury also found the woodwork to be their nemesis. Shaun Whalley fired a free-kick onto the post, and the home side managed to scramble clear. The visitors soon took control and Tyrese Campbell probably should have given Tomas Holy a sterner test, but his shot was struck straight into the midriff of the Czech goalkeeper. Gillingham’s defenders were all over the place as Town’s forwards stretched their opponents. Campbell placed his effort narrowly wide, as Gillingham clung on. A succession of corners were the final opportunities of an enjoyable first half. Luke Waterfall nodded one onto the roof of the net, and the former Lincoln City man guided the other wide. The second period began brightly for Sam Ricketts’ men. Shaun Whalley’s set-piece fell kindly for Omar Beckles, but the former Accrington defender was denied superbly by Thomas Holy. Shrewsbury deservedly took the lead in the 50th minute. Fantastic link up play between James Bolton and Shaun Whalley, led to the former creating some space and arching a low shot beyond Thomas Holy and into the back of the net. The Gills looked dangerous from set-pieces, and Luke O’Neill whipped a free-kick wide of Jonathan Mitchell’s goal. But Shrewsbury were very much in the ascendancy, and they doubled their lead after the hour mark. Scott Golbourne’s pinpoint cross found the evergreen Tyrese Campbell, and the Stoke City loanee calmly placed the ball home. Gillingham never looked like scoring, but Jonathan Mitchell was called into action as former Shrewsbury Town loanee Tom Eaves saw his effort comfortably collected by the Derby County loanee. The rest of the match passed without any notable incidents; and Shrewsbury kept their clean sheet intact whilst achieving back-to-back away victories for the first time this campaign. 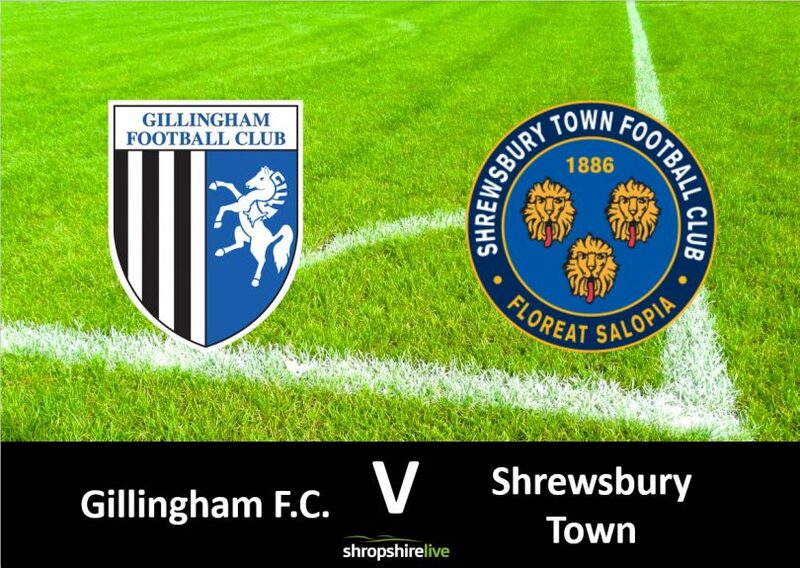 Shrewsbury rise to 13th, whilst Gillingham drop to 15th. Town travel to Barnsley on Good Friday, whilst Gillingham welcome Plymouth Argyle.